I started doing Member of the Month interviews last September — so I guess my 1-year anniversary is coming up soon. I took over from my colleague Caroleigh Deneen, whose shoes I still haven’t suitably filled. I couldn’t have said it better myself. Which is why I’m stealing Caroleigh’s quotes (and demonstrating why I’m still trying to live up to her standards). 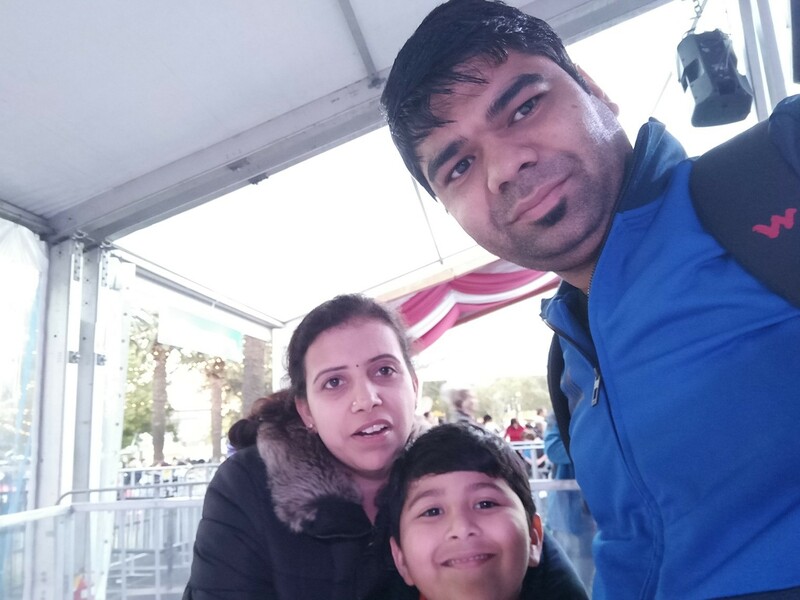 Caroleigh was speaking about Harish Mistri, and I’m happy to interview him as August’s Member of the Month — so you can see why both Caroleigh and I consider him such a valuable part of the SAP Community. Congratulations, Harish! This honor is long overdue. How does it feel? Thanks, Jerry, I feel honored and excited to receive this. 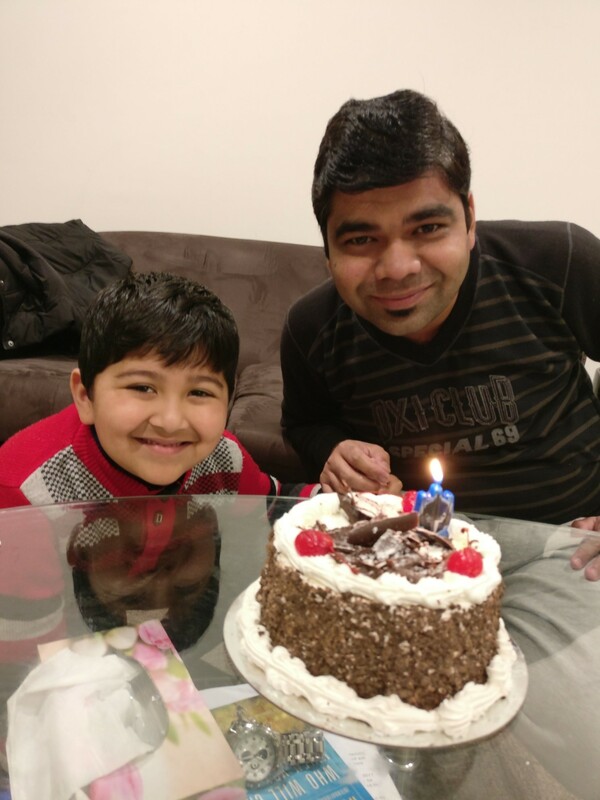 Harish celebrating his son’s birthday. Playing with his son is one of the ways he spends his free time. According to your profile, you’ve been working on SAP integration projects for more than 8 years. Has that always been your area of expertise? How did you get involved in that type of work? I have been working in the integration area from 2008. I’m always excited to maximize to discover the system and process performance by integrating them seamlessly. I started my journey as an integration consultant in Accenture and worked for complex architectures with B2B and A2A integrations. It’s been fascinating how our work will get the transfer with real-life process efficiency, time savings, and productivity. I am working with Accenture from 2008 — the start of my career. I had worked with various Accenture locations and a varity of clients. I’m always curious to know the different places, learn about different cultures. I love to perform challenging and new roles, I want to learn new things. Accenture gave me the opportunity to work with the a varity of integration projects: supply chain integration, B2B integration, migration, upgrade, banking, et cetera. My current role is Integration Architect. Your profile shows your location as Sydney. Are you from there originally? If not, how did your career path bring you to Australia? I’d be interested in hearing about your travels. I have traveled around the globe and I’ve been in Sydney from the beginning of 2016. I am originally from India and worked in different Indian cities, such as Hyderabad, Pune, and Bangalore. For most of my career I worked from Hyderabad. I had worked in Germany for about half a year and spent some quality time in Montreal. My work is always taking me to different places, which is one of the exciting parts of being a consultant. Talking about Australia, it’s a great place and exciting work. I love spending time on beaches and near nature. As I mentioned in my introduction — or, more specifically, as Caroleigh mentioned and I repeated — you are diligent, persistent, and polite when answering questions. And you’ve answered more than 100 since launch! Could you let me know how you’ve made SAP Community a part of your work routine? SAP Community is the great place for learning new things. My ways of communication comes from nature and origin. I always believe in establishing good relationships with people. It feels great when you help someone and interact with new people. I always try to learn something new in my daily routine, and being a technical person, I believe SAP community is the ideal place. I try to spend my free time, lunch time, or traveling time to browse through community questions and discussion. It feels good to learn new things and help someone in your own learning process. It’s a win-win scenario. I was in teaching career before my SAP journey started, so it always is my passion to learn. You joined the community in 2009, and your network of followers includes more than 80 members. Was there any specific point when you saw a sudden spike in followers — where you felt like you were gaining momentum as an expert? Or was the growth of your network more of a gradual or ebb-and-flow thing? I joined in 2009 but I engaged more from 2011 to ’12. It was the time when I wanted to learn and contribute outside my project network. I started reading one new thing every day. My network growth was gradual. I believe that steady and consistent will be the more efficient way for me. Fun times skating with the family. Family is very important to Harish. When you aren’t working or sharing your knowledge with members, what are you doing? Do you have any hobbies or anything else you like to do away from the office? I enjoy spending time with my family and playing with my son. I enjoy watching movies and love to play sports on weekend. It is hard for us to engage in sports on daily basis due to personal and professional commitments. I enjoy playing badminton, cricket, and football. I’m glad we had a chance to chat, Harish. I’m sorry we didn’t talk sooner, as you have been a strong candidate for Member of the Month for a long time. Congratulations again! Well Said , Congratulations ! Harish inputs always has helped me crack the issues I get stuck with. Also he assist with references incase he has not experienced the issues. Welcome to the member of the month club Harish! Its great to learn a little bit about you. I admire your ability to pick up and move so much, especially with a child. Thank you for your community support and work to seek resolutions. Congratulations, Harish! Well-deserved, I’m so excited for you! And thank you for the kind words, Jerry. I have been delighted with your oversight of the Member of the Month recognition program and the personality you have brought to it. One of my favorite parts was spotting members like Harish and watching them establish themselves in the community, increasing their contributions, sharing their expertise, and even nurturing new members along their way. Glad Harish kept going! Your valuable comments and suggestions always help a lot! Congrats Harish !! Was knowing you professionally and through SCN community. This Member of the month made you know personally as well. Congratulations once again.. Wow!! It is great to see this. Many congratulations Harish you have always been a great help! Yes, Read Your answers. Its great & motivational.